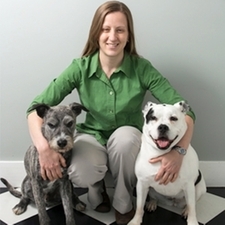 Dr. Larisa Bierds has been with Animal Health and Wellness since its opening in June 2007. Born and raised in Western Kentucky, she returned home after graduating from Auburn University and has continued to plant deep roots in the area. While Dr. Bierds' experience is predominantly dogs and cats, she has examined and treated several other species such as rabbits, ferrets, rats, and even some reptiles and birds. She has particular interests in dermatology, preventative medicine, surgery and heartworm disease. Dr. Bierds enjoys hiking with her husband, Sam, and two dogs, Frank and Charlotte. She also has three cats, Archie, Oscar and Alice. When not on the trail she also enjoys gardening when weather and work permit, as well as attending church where she sometimes makes a joyful noise singing and playing piano with her family. Graduated from Auburn University; DVM May 2007, Murray State University; BSA May 2003. 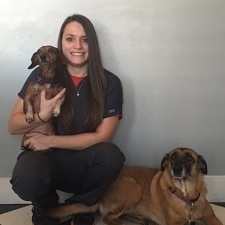 Kasey has been a Licensed Veterinary Technologist with Animal Health and Wellness since graduating in 2008. She currently lives in Hazel, KY with her 12 animals. She has two dogs, a lab mix, Apollo and pit bull mix, Shiloh. She has Marcus, a corn snake as well. She's also "the crazy cat lady" with nine cats, Catch, Chesney, Phelps, Bug, Jasper, Atticus, Peeta, Tony and Sweetir. She is an alumni of Sigma Alpha sorority. 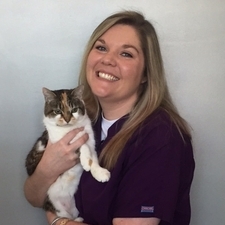 Kasey is pictured with the clinic cat, Bonnie. Graduated from Murray State University with a Bachelor's in Science of Agriculture, emphasis in Animal Health Technology, in December 2008. Became a Licensed Veterinary Techologist in March 2009. Amanda is from a small town in northwest Ohio, but her love of horses and a job opportunity brought her to Kentucky three years ago. She now lives in Murray with her two dogs, a miniature dachshund named Harley and a Belgian Malinois mix that she rescued in September 2014 named Bella. Bella is currently being trained to be a service dog. Amanda is also a part of Project Mentor at Murray State University. Obtained an Associates of Applied Science from the University of Findlay in 2010. Currently studying Pre-Veterinary Medicine at Murray State University. She is planning to attend veterinary school in the fall of 2017.